Throughout the season I will give weekly Updates on Quality Free Agents, Players on the Rise & Decline, and Players to Buy/Sell on. This is the inaugural “Player Update” Article. Enjoy! Filling a need at this point is a huge shot in the dark. Look for the players that are receiving the most targets/carries. They are your best chance to have an immediate impact. Also take a look at players who are the backup to a starter with injury risks. 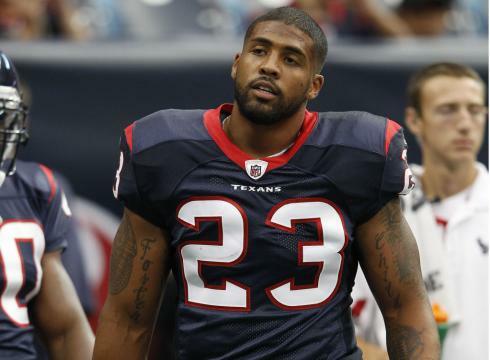 If you drafted Arian Foster in the 1st round, what is your next move? Do not pay attention to preseason stats. Teams do not show the entire playbook during preseason and playing time is limited. Preseason does show who is moving up or down on the depth chart and the health of players coming back from injury. It also gives you a glimpse how new players will fit into the current system. Lance Kendricks TE, STL: Kendricks fits the Rams scheme. Although Sam Bradford relied heavy on the TE position in his rookie year, I see him growing and spreading the ball around this year. Look at the Josh McDaniels offense in Denver last year. Kendricks is comparable to Tony Moeaki as a Rookie. Tim Hightower RB, Was: Hightower will get more looks this year than any previous year he had with Arizona. The Redskins have zero talent on offense, but I see Hightower as the goal line back that can also catch the ball. It is worth it to mention Mike Shananhan’s amazing history with running backs in his run-block scheme. Vince Young QB, Phi: Yeah I went there… he has looked surprisingly comfortable in Andy Reid’s Offense and if/when Mike Vick gets blindsided he will have plenty of weapons around him. Tim Tebow QB, Den: I believe he could put up amazing but meaningless stats that would vault him into a Top FANTASY Quarterback. Look what Tyler Thigpen did in 2008 with the Chiefs. Obviously, John Elway and John Fox do not play fantasy football because they are taking a play out of Herm Edwards book and are Playing to Win the Game. The past 4 weeks Tebow has gone from Fan Favorite #1 Jersey Selling Starting Quarterback to Fan Favorite #1 Jersey Selling 4th String Quarterback. Kyle Orton and Brady Quinn have looked very impressive this preseason and will keep their jobs as long as the Broncos are around .500. 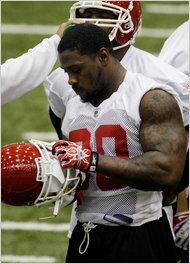 Clinton Portis RB, FA: Portis is running out of teams to play for. Huge questions about his health and his age are keeping this once consistent Fantasy Runner out of the league. If you want to see how this story ends look at the end of Shawn Alexander’s Career. Brandon Gibson WR, Stl: Gibson had a lot of hype after the Rams acquired him from the Eagles last year. The Rams were hit with lots of injuries that promoted Gibson to the #1 target. He put up 620 yards with 53 catches in 12 games. With Donnie Avery coming back, and Mark Clayton resigning there just isn’t enough balls to go around for Gibson. Gibson also has a hard time with dropped passes. Recent injury reports say he has a possible Turf Toe injury that could linger all season. Jonathan Baldwin WR, KC: The 2011 First Round Pick of the Chiefs was expected to be a big redzone target opposite of Dewayne Bowe. Baldwin had a disappointing training camp with players and coaches complaining about his immaturity and lack of respect for the coaching staff. Thomas Jones took matters into his own fists and put Baldwin in his place…. Which also put the rookie on the injury report with a broken wrist out 4-6 weeks. I will not list players until after the season starts. A few notes on trading before the season starts. -Always counter to all trade offers. If keep trade talks alive and you never know if someone might accept your offer. Why Not? -Find the Guy that loves Trading. Identify the Owner in your league that makes a trade every week. Send him offers or feelers now, eventually he will send you an offer that you will like because he is addicted to trading. Always schedule your draft after the Preseason wraps up. 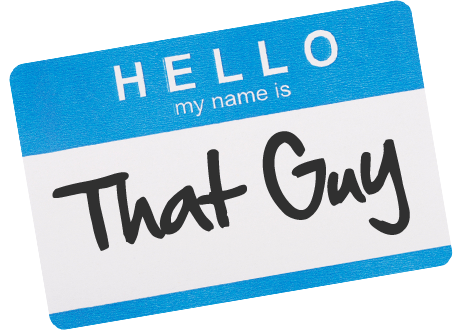 Otherwise you will be “That Guy” with Peyton Manning, Wes Welker, and Arian Foster. This entry was posted in Know-It-All Guy and tagged Arian Foster, Fantasy, Football, kstafford32, Kyle, Preseason, Stafford, That Guy, The Know It All, Tim Tebow. Bookmark the permalink.